The designed control and the drive system have been built up in MATLAB/Simulink and tested successfully. The control module has then been implemented on a rapid control prototyping board by dSPACE and has been put into operation on a complete test bench, including a PM synchronous machine (50 kilowatts), an asynchronous machine (45 kilowatts) as load machine and the required inverters for the two machines. 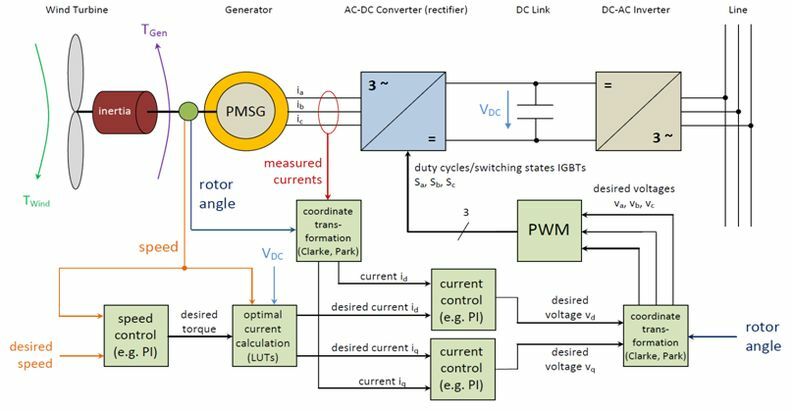 The linking and the feed-in to the grid have been managed by an autonomous DC-AC inverter. The development of the feed-in control was not part of that project. 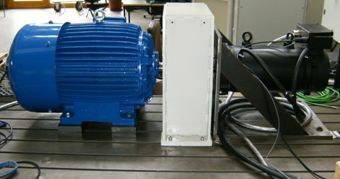 Figure 3 shows the machine unit consisting of the load machine (blue) and the synchronous generator (black). 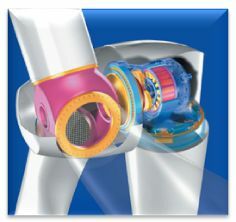 To validate the developed control system several torque steps at different speeds were executed. 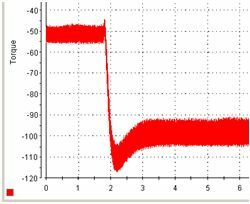 The two following plots show the disturbance behavior of the controller. The desired speed value has been set to 1800 rpm. 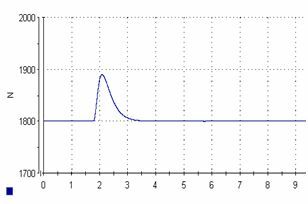 The load torque of the asynchronous machine which represents the wind strength has been abruptly doubled from -50 Nm to -100 Nm. After a short acceleration phase the controller initiates a higher current flow to match with the load torque and to adjust the desired speed of 1800 rpm again.